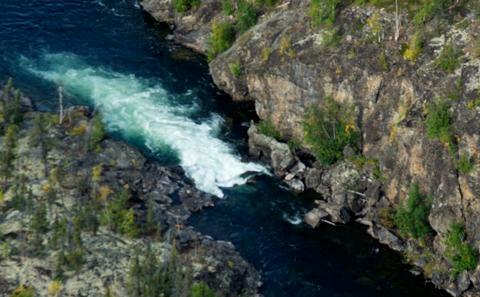 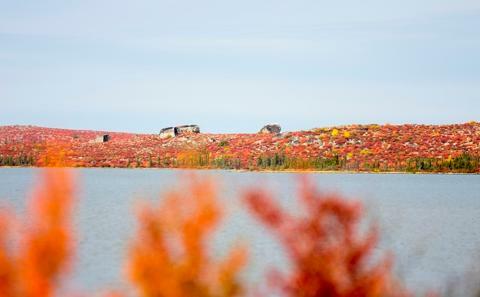 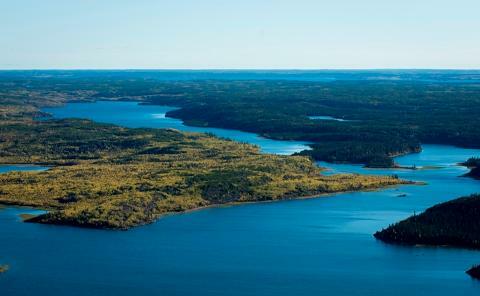 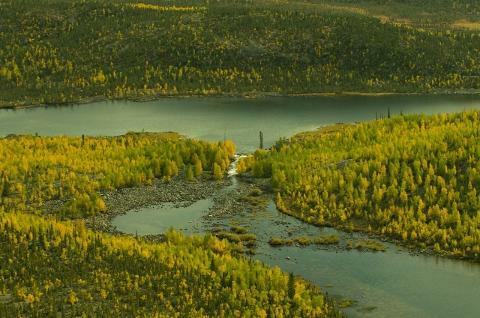 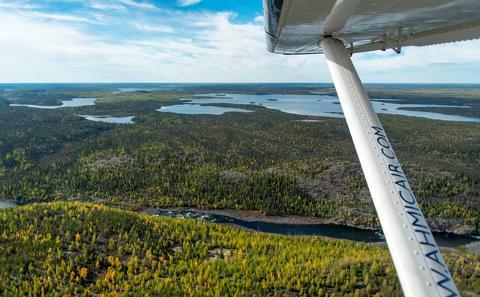 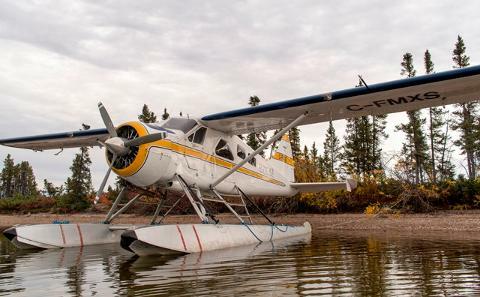 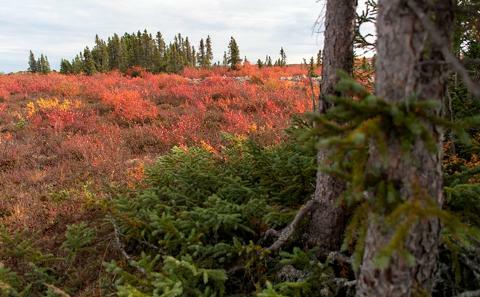 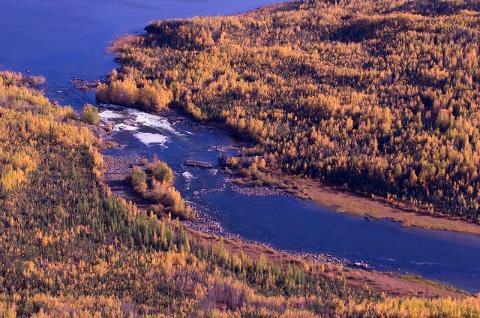 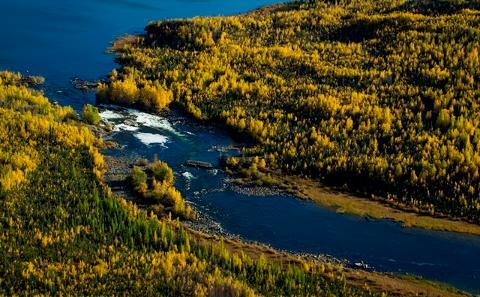 Depart Yellowknife's Back Bay and track the Yellowknife River (Beg-ho-lo-dessy; River of the toothless fish) northwards. 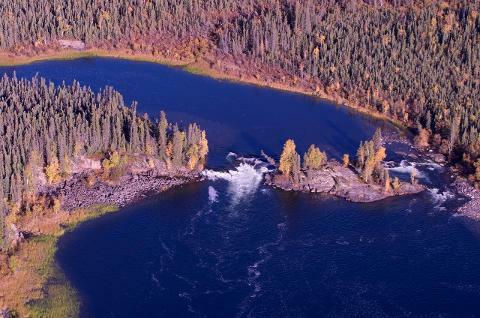 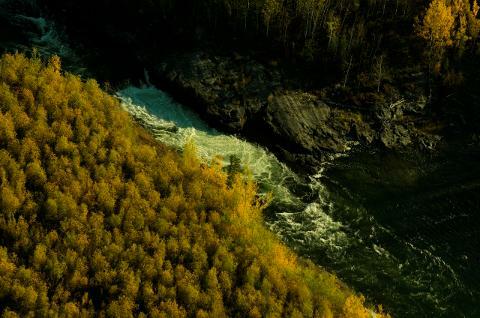 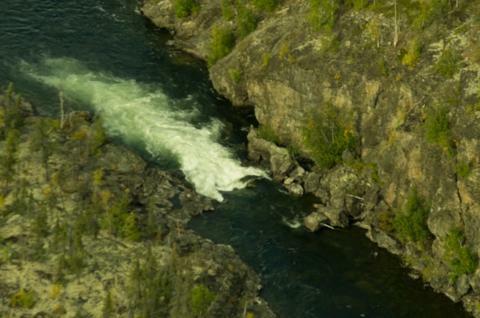 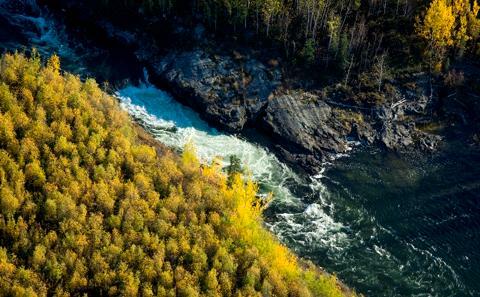 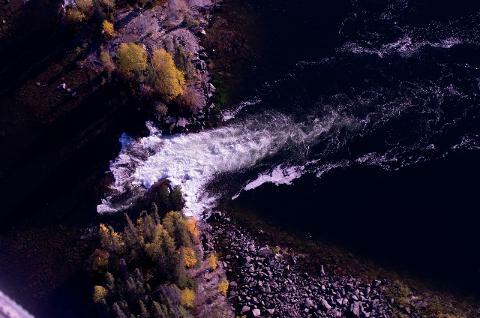 We will follow the route of Sir John Franklin's 1820 overland expedition to the Polar Sea and you will be given the opportunity to observe the various falls, cascades, and rapids that those who travel the Yellowknife River must contend with. 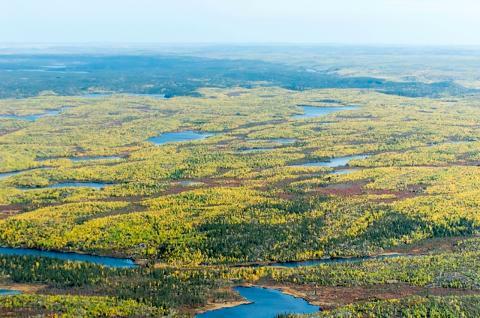 We will follow the river right to it's headwaters of Greenstockings Lake. 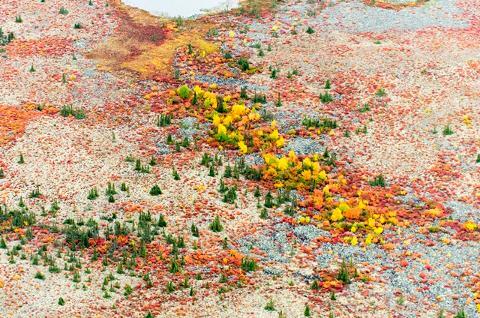 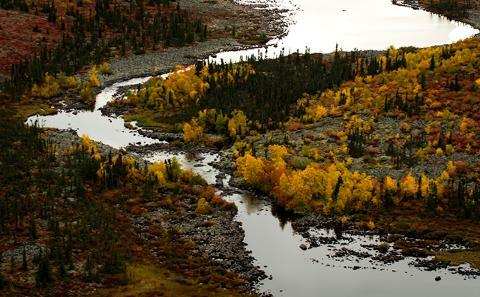 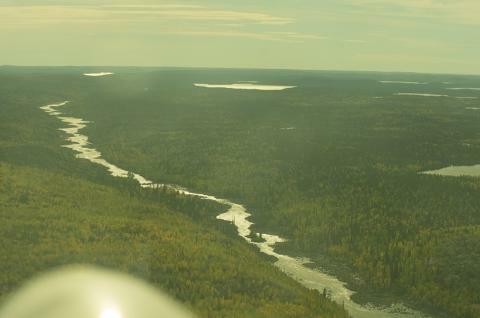 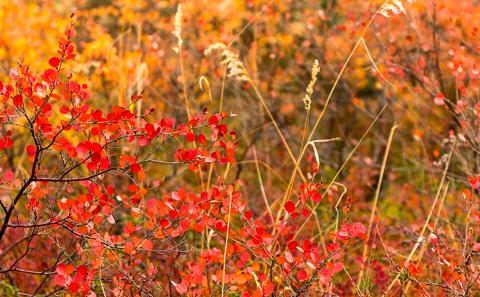 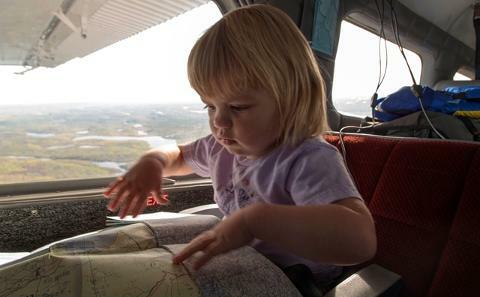 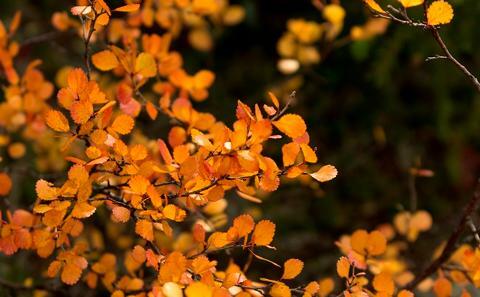 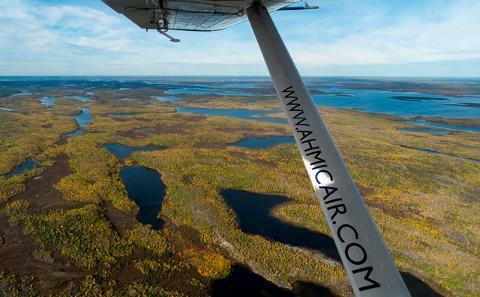 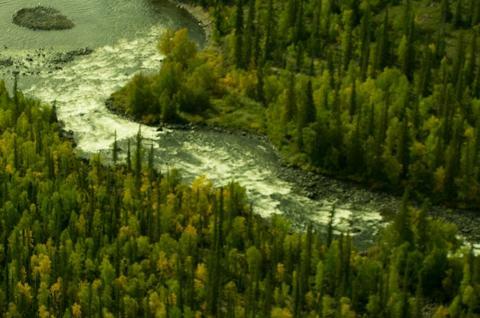 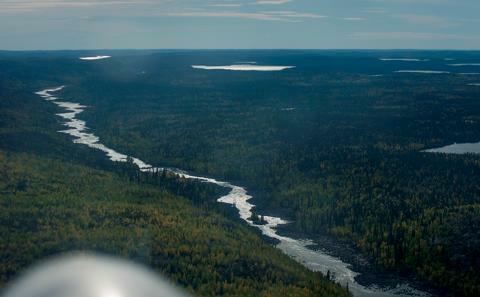 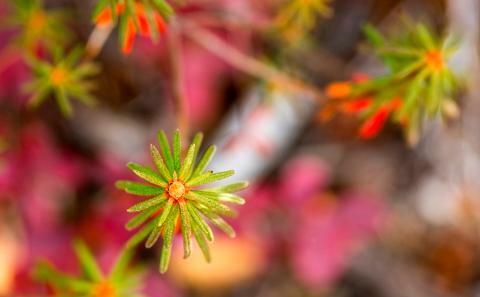 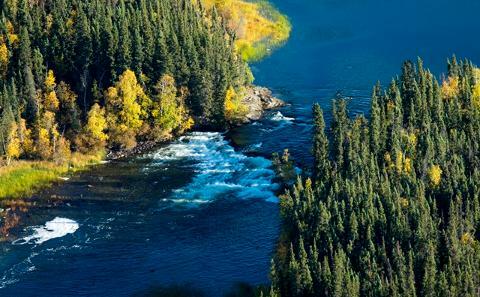 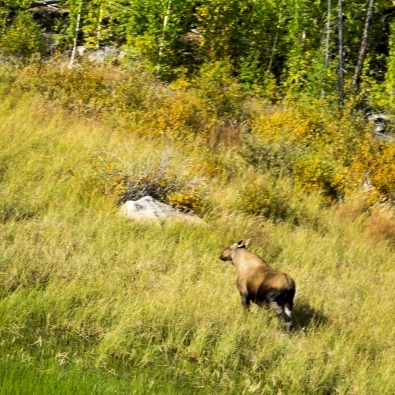 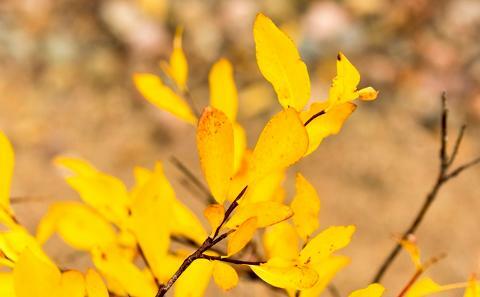 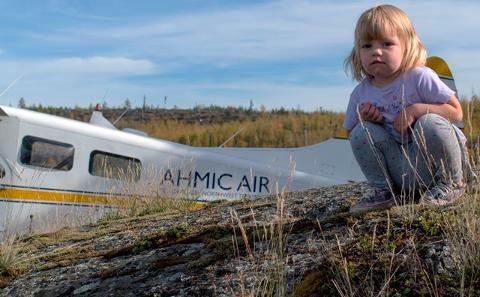 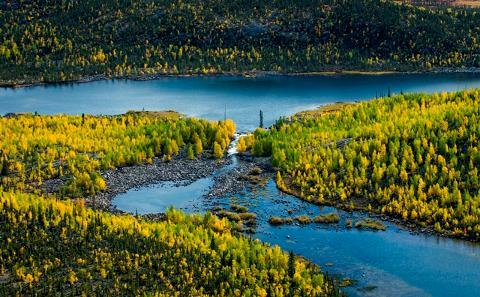 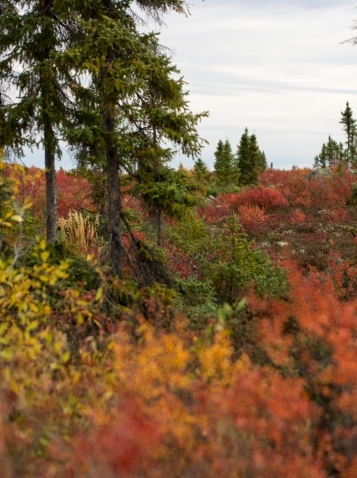 Along our route you will get to observe the meeting of the Boreal Forest and Arctic ecosystems and watch the density and size of trees decrease as we fly north and become replaced by dwarf shrubs and miniature wildflowers. 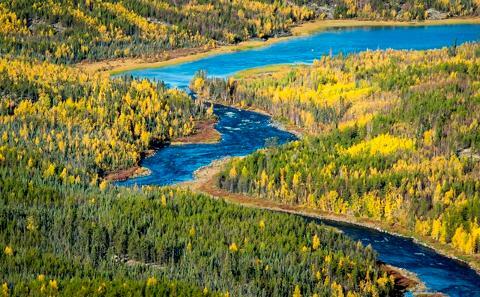 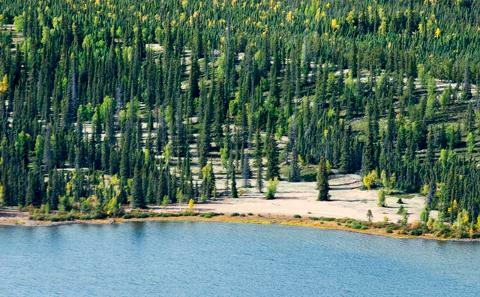 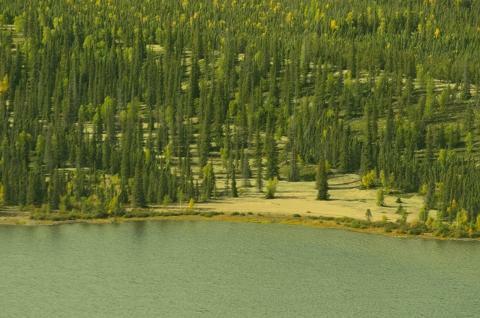 Greenstockings Lake is located at the tree-line which divides boreal forest from tundra. 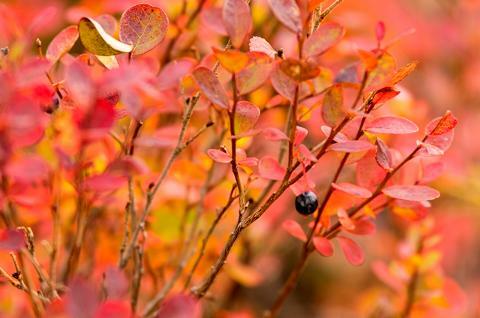 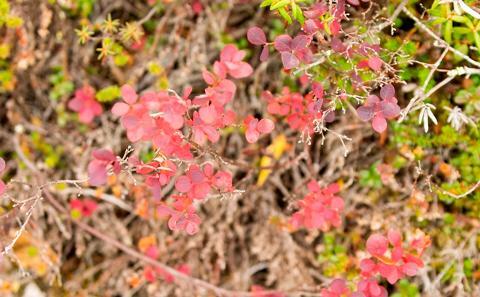 In mid August, the grasses turn gold and the leaves of the various bushes take on crimson hues from their summer berries. 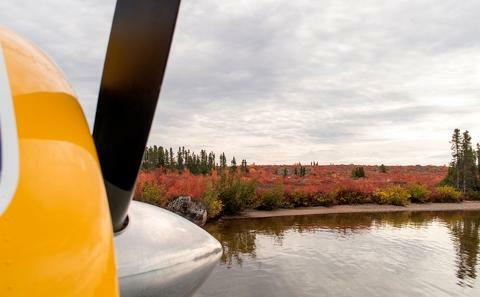 We will land at the mid way point of this tour before returning to Yellowknife to provide you with the opportunity to stretch your legs, take photographs of the unique landscape and enjoy some light refreshments and snacks. 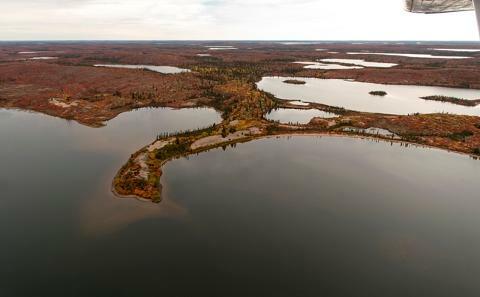 Feel free to bring some fishing equipment if you would like to wet a line during our stop over but if you're going to do so don't forget your fishing licence. 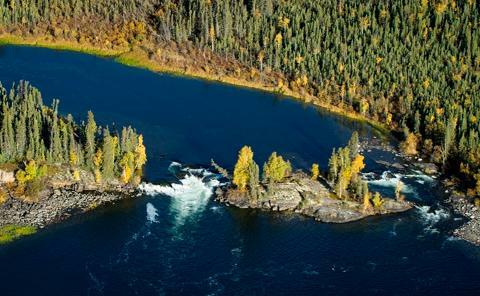 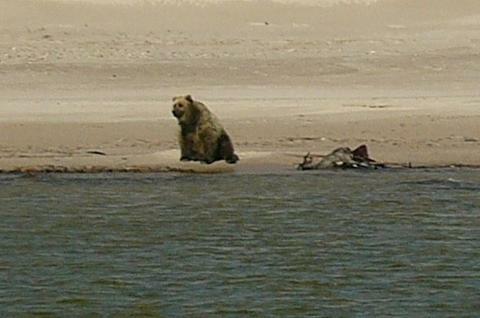 -Fishing gear for guests with licenses who wish to fish, self-guided at some point along tour.